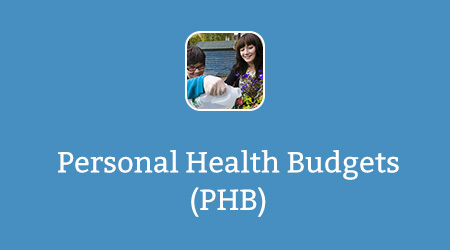 Personal health budgets are one way to give people with long term health conditions and disabilities more choice and control over the money spent on meeting their health and wellbeing needs. 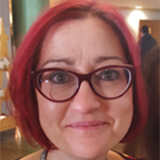 This project introduces the background to personal health budgets, how they work for people, how they can address some of the challenges faced by the NHS, and the plans to expand availability to other people with complex and long term health conditions. Personal health budgets are a relatively new concept in the NHS, but as they become more widely available this course will be of interest to professionals working across the NHS who would like to understand more. Adults who are eligible for NHS Continuing Healthcare and children in receipt of continuing care have had a right to have a personal health budget since October 2014, including the option of direct payments for healthcare. Since April 2015, clinical commissioning groups (CCGs) have been looking at expanding their local personal health budget offer to others who could benefit. The latest mandate from the government to NHS England for 2016/17 sets out the clear expectation that by 2020, 50-100,000 people will have a personal health budget or personal budget that combines NHS funding with social care. If you already have an account with e-LfH, then you can enrol on to the Personal Health Budgets programme by logging in to the e-LfH Hub, selecting My Account > Enrolment and selecting the programme. You can then access the programme immediately in the My e-Learning section. The Personal Health Budgets programme is also available to NHS healthcare staff via the Electronic Staff Record (ESR). Accessing this e-Learning via ESR means that your completions will transfer with you throughout your NHS career.